I was looking over my resto artifact appearance and realised there’s quite a few of the tints I’m missing. Some I’m really unlikely to get, the really high Prestige levels particularly, but some I’d like to work on while Legion’s still around. 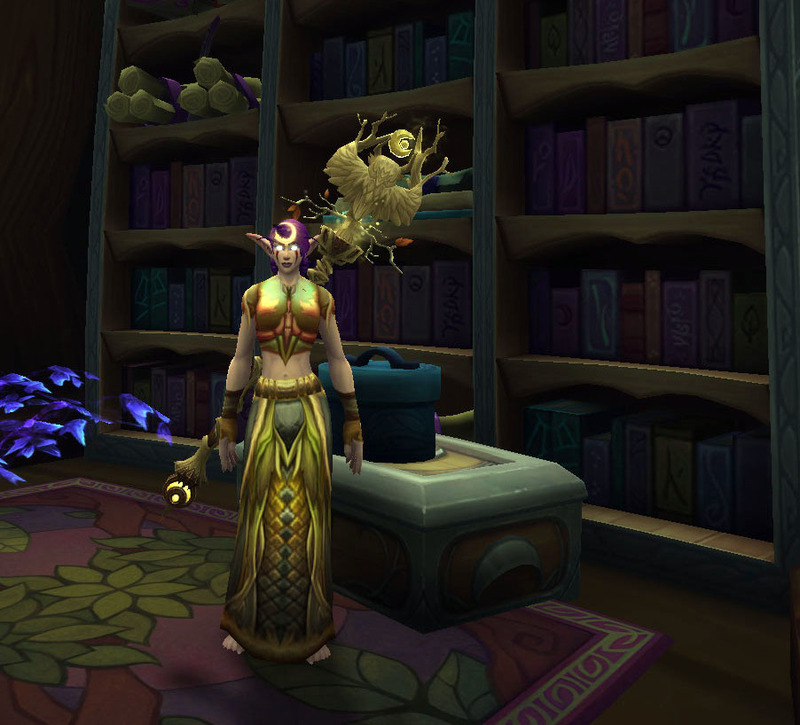 My favourite appearance is the Mage tower Owl, Night’s Vigilance, and I had only unlocked the base colour. The easiest of the 3 tints would definitely be the complete 10 different legion dungeons so that’s what I decided to work on first. I figured I should be fairly close as I’ve been doing quite a few dungeons lately so I started queuing specifically for the ones I knew I hadn’t been in for quite a while. Luckily the tint unlocked after only running through Neltharian’s and Violet Hold! I really love the pale gold of this tint and I finally found a nice transmog to go with the Genesis shirt out of AQ40. 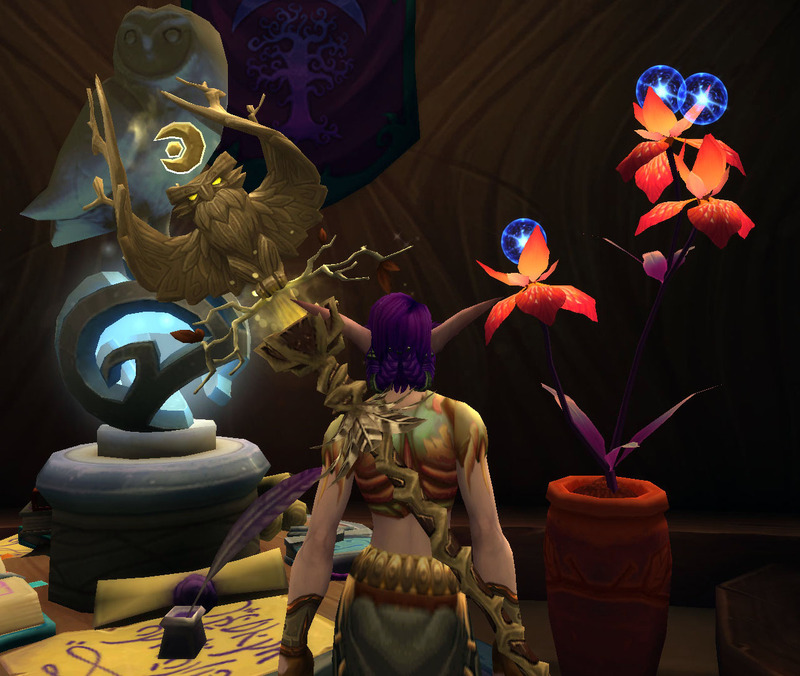 The last 2 tints for my owl is a dark blue from killing heroic KJ and a pale purple from winning 10 rated BGs. Given I haven’t stepped foot into a BG or a raid for a few months now I’m not sure if either will be easy to obtain.